Yosemite has always been one of my favorite places to shoot photography and timelapse. Here are a few Yosemite timelapse clips with beautiful fog rolling through the valley during a storm. The music was created by James Everingham. In addition to the timelapse clips I captured above, I also shot some different landscape images of the scene as well. You can find the images below. 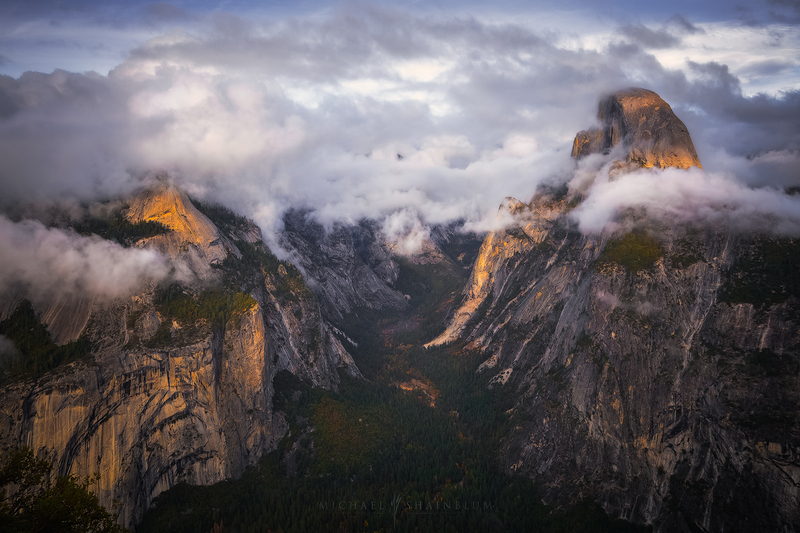 Here is a wide angle of the Yosemite Valley with clouds rushing through the scene. 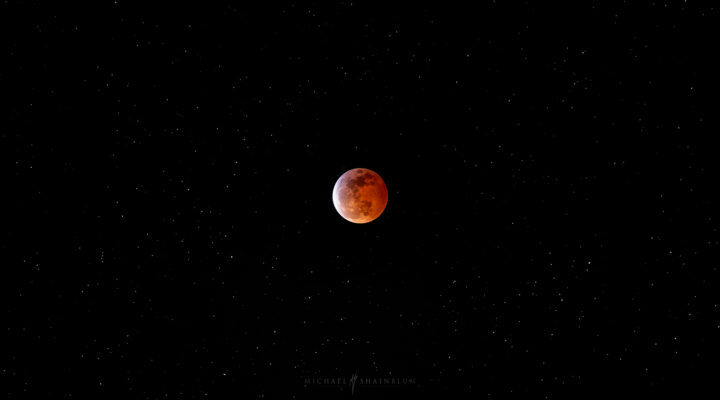 I shot this image a few minutes before starting a similar timelapse shot. The light was a little stronger and more vivid. I really loved that the clouds took up the entire upper frame and the valley would still be seen below. This was by far my favorite image from the day. 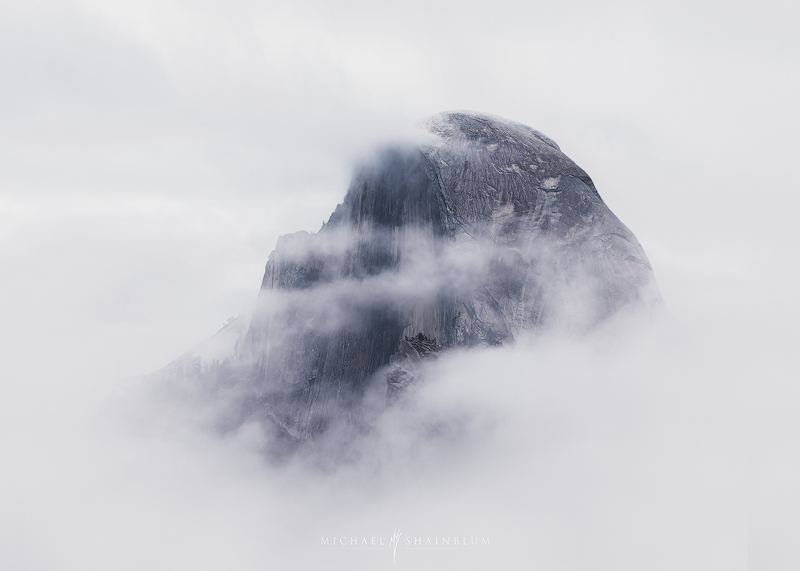 I had been wanting to create a close up image of Half Dome for a long time, but was uncertain of the conditions that I wanted. 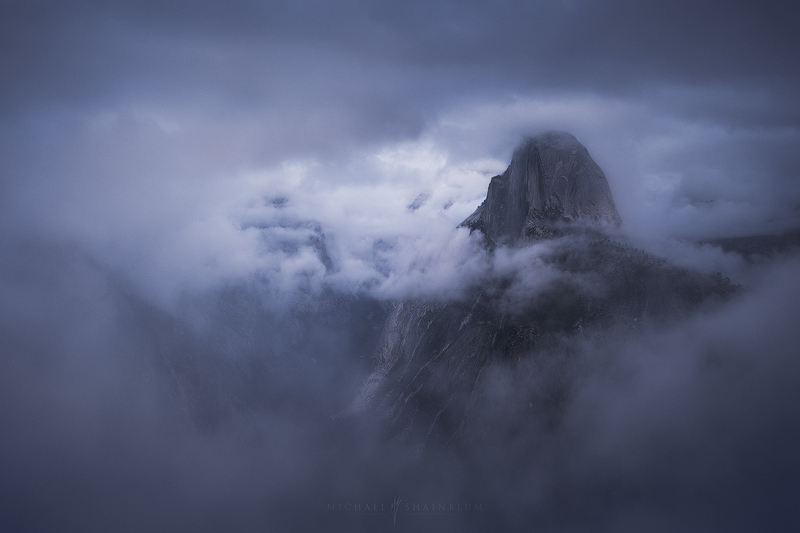 During a few minutes Half Dome became completely immersed in fog, creating the scene that I had been dreaming of. As the clouds started to block the sun and the fog rolled more into the valley, the landscape became dark and mysterious. Moments from when this image was taken, fog filled the entire scene and we could not even see a few feet in front of us. It was an incredible day out shooting at one of my favorite places in the world, I am glad I was able to share some of my images and timelapses with you all. If you have never been to Yosemite National Park I highly recommend checking it out. In addition to daytime/sunset photography, Glacier Point is also an incredible place to view the night sky during the summertime. If you have any comments or questions about any of the images/timelapses, please post them below. This is so awesome. Thanks for the blog post. Incredibly I inspiring as always. Thanks man, I really appreciate it. I have been trying to do more mini series blog posts and image galleries.